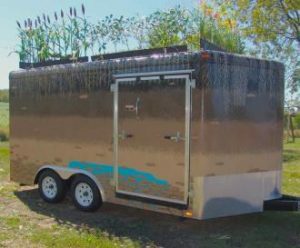 The Miami and Rush County Conservation Districts each host a Soil Tunnel Trailer which can be used by conservation districts across the state. 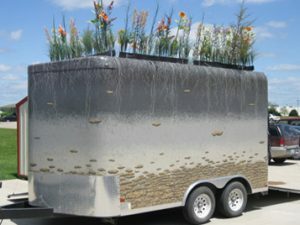 These self-contained educational trailers feature soils and allows for interaction with underground natural resources. The professional design inside and out brings the world of soil to life by giving the appearance of being in an underground tunnel. 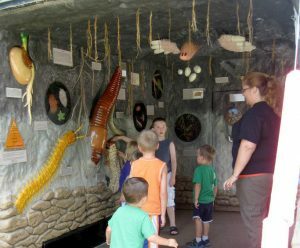 The Soil Tunnel Trailer serves as a learning tool and backdrop for a variety of lessons at schools, field days, county fairs and beyond. Contact your local conservation district if you would like to have one of the trailers at your educational event or school.